While Champions seems like it would be a great name for an insurance company, there seems to be a lack of insurance companies with this name. Because of this, this article will be about Champion Insurance Advantage instead. 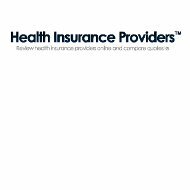 Enter your zip code below and get health insurance quotes from multiple health insurance companies in a single location! Champion Insurance Advantage is a temporary health insurance company. What this means is that they provide health insurance for a short period of time rather than something that you would use as your primary health insurance company. Champion was founded in 1993 and is an insurance broker that sells both temporary and travel insurance products. They also provide insurance products for international students in and outside of the US. You can purchase short-term health insurance as a six-month package or a twelve-month package. In order to qualify for coverage you have to be someone who is in college, is a recent graduate, recently lost a job, or quit a job due to relocation to a new area. Champion Insurance sells short-term health insurance policies for TIME Insurance Company, which is a subsidiary of Assurant Health. There is a separate short-term health insurance program for students who are studying abroad called Study Abroad Health Insurance. They do not provide the information regarding for what companies they sell this insurance. The Champion website is a bit of a mess in terms of navigation. Some of the links do not work and the site itself is clearly not professionally designed. Regardless, they have four clear links to each of their insurance types so that you can learn more information about the services that they provide. They do not provide an address for their actual offices, although they do list their office hours as Monday through Friday 9 AM to 5 PM Eastern Time. Champion is a broker, what this means is that they act as a go between for an insurance company and their potential clients. This company uses their own independent agents to sell insurance products, but they do not sell their own products to consumers. Champion does not provide any information on their website about the location of their agents. It is possible that they allow agents to work remotely in the areas in which their insurance products are available, or they may simply only work out of their one office. If you have a claim to file, you will not make it through Champion, instead, you will file your claim directly with your insurer. If possible, you should choose a doctor who will file directly with your insurer so that you do not have to pay for your services out of pocket and then wait for a reimbursement. Unfortunately, Champion does not have a career center on their website. Not only that, but they do not say how many people they have working for them, nor do they provide any information about the benefits that they may offer their employees. If you are interested in applying for a position at Champion, then you will probably want to contact them at the toll-free number that is listed above. This should provide you with the ability to learn if there are any positions available with the company. There seems to be a shortage of reviews online regarding this company. However, they are a certified Better Business Bureau member. They do have an A+ rating with the BBB because they have had no complaints filed against them at the BBB in the past 3 years. You can get an online quote from Champion easily. When you want a quote, you simply click on the get a quote link. You will be redirected to a quote tool, which will ask for your gender, date of birth and your zip code. Once you hit okay you are provide with two options from Assurant. The nice thing about this quote tool is that you can reset plan values to meet your specific needs, such as your coinsurance requirements, deductible, how long the coverage will last, whether your want prescription drug coverage and you can see how much it would cost to ad dental, vision, accident and term life insurance as well. The only downside to their quote tool is that you cannot get quotes from multiple companies with this tool. If you are looking to save money by comparing rates, then enter your zip code below for your free health insurance quotes right now! Is there a list of doctor’s that participate with this plan? If so are we going to receive one soon? We joined to have a health plan. We didn’t start using it yet. I know we have 30 days to canceled but, I want it to work out.